Innovative formulation softens unmanageable hair and restores shine and smooth. Revitalizes dull lifeless hair and provides a protective resurfacing to the chemical processed and sun damaged hair with intense moisture replenishment. It can be instantly absorbed into hair without any sense of heaviness, eliminates frizz and provides long-term conditioning. 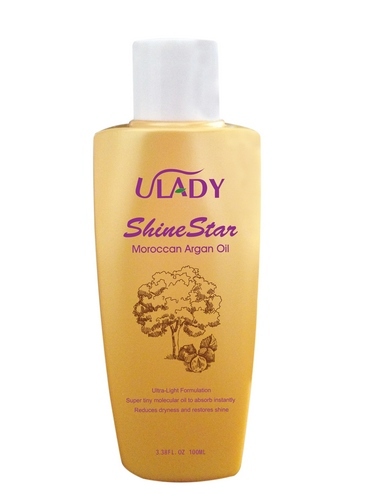 Hair: apply few drops into palm then distribute evenly in towel dry or dry hair, style as usual. Suitable for all hair types. Skin: when feels dry, warm a few drops argan oil in your hands and massage on the skin. The skin will be hydrated and become smooth.